This week I’ve prepared a very special writeup. It’s quite a long read, but I do hope you’ll enjoy it nonetheless. It’s about Warhammer 40k. The story starts all the way back in 1975, Games Workshop (GW) was originally a manufacturer of traditional wooden and board games, as well as a distributor of Dungeons & Dragons products. But, eventually GW aspired to greater things, and wanted to help promote this niche area of gaming through media. They came up with Owl and Weasel, a monthly newsletter designed to cover board-gaming, tabletop gaming, and Role-playing gaming related news, whilst promoting GW itself. A few years later in 1977, this newsletter was rebranded as White Dwarf, and retains that name till today. The content remained the same, but started introducing more sci-fi content overall, as well as more information on rules and scenarios for the various games that the newsletter covered. This newsletter is widely attributed to be one of the most influential forms of media at the time that helped popularise this type of gaming in the UK during the late ’70’s to early’80’s. Eventually however, as GW became more prevalent as a company, White Dwarf shifted its content to cover mostly GW’s own products and publications. Growing in popularity, GW was started to become a household name to tabletop, board, and RPG gamers. Then at the turn of the decade in 1979, GW co-founded Citadel Miniatures, a company that produced miniature models for games, and was later fully owned by and become synonymous with GW itself. It was with this new line of business that GW released the first game in what was to become the world’s biggest tabletop franchise: Warhammer, 1st Edition. This set the groundwork for how all the upcoming games in this series would be made, from rules to playing format, and was soon followed up by the expansion, Forces of Fantasy, it’s 2nd edition, and another expansion, Ravening Hordes. The thing about Warhammer 40k is that there was nothing quite like it at the time. There were a few sci-fi themed games (usually in the vein of popular TV serials at the time, like Doctor Who or Star Trek), and of course the traditional fantasy setting that dominated the market, with the heavy hitters like Dungeons & Dragons, and even GW’s very own Warhammer. But there was no existing setting that captured the same feel as the 40k universe, which was deliberately gruesome, grim, dark and many other related words. 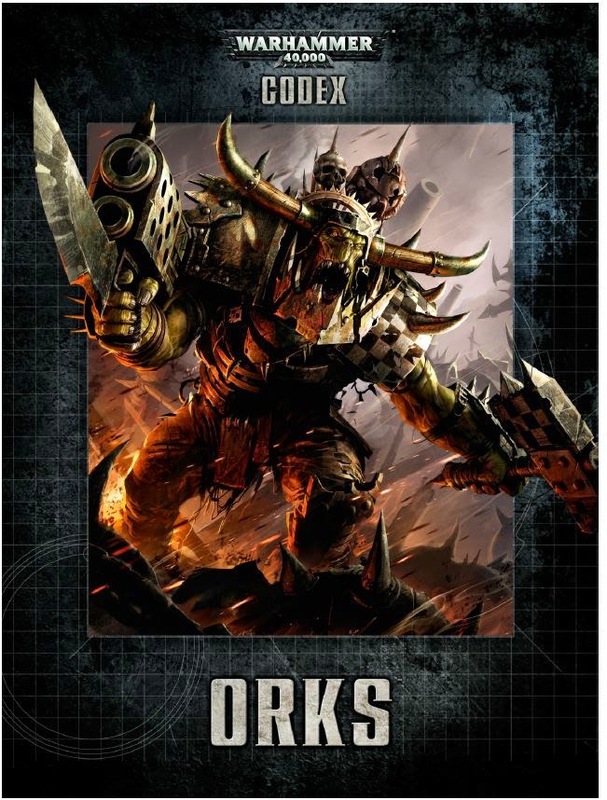 Hell, it’s the pioneer of a setting subgenre known as Grimdark, and boy… does 40k deliver it in spades. The 40k series’ success was largely due to its near exhaustive level of attention to detail regarding aspects of its lore and story. Every single race has painstakingly described histories lasting thousands (if not ten thousands in some cases) of years of culture, tradition, important historical figures and their exploits, rivalries and/or alliances, and so on. No other gaming franchise up to that point even came close, and that applies to all types of gaming, be it in the then infantile video gaming industry, or otherwise. In fact, Blizzard Interactive’s now legendary Warcraft franchise’s first game was originally a licensed video game adaptation of Warhammer 40k, which explains the many of the similarities between the 40k and some of Blizzard‘s franchises. ArcticLyrae presents: The Major Factions of Warhammer 40k for the Uninitiated. You Bloody Heretic Swine. Basically… space humans. Or as I like to call them, space racists. Hailing from Terra (previously known as Earth), The Imperium of Man is founded and ruled by The God Emperor of Mankind, an incredibly powerful psychic superhuman, worshipped as a god by the humans, who is mortally wounded and whose life is sustained by His Golden Throne. The Warhammer 40k universe’s lore and story is usually seen from this faction’s perspective, along with all of its biases and prejudice towards all other factions, so most of 40k should be considered with a grain of salt. This faction’s history is the some of the most immensely recorded in the lore, and details mankind’s progress from it’s initial origins, creations of the Old Ones, till the 41th Millennium. Did I forget to mention that 40k is granddaddy of Grimdark? Try looking into its history to see just how dark Grimdark can get. No matter the odds, Humanity will always triumph, for the man who has nothing can still have faith. Burn the heretic. Kill the mutant. Purge the unclean. Basically… space demons. “Ruled” by a number of SUPERNATURAL, IMMORTAL BEINGS KNOWN AS THE CHAOS GODS who reside in a dimension known as The Warp (or The Immaterium). Each Chaos god respectively commands a massive sub-faction of followers and demons and are a threat to the entire universe as a whole, corrupting and defiling all sanctity. Their existence is the pivotal centre-point of the entire lore of 40k, and their history is convoluted and deep. For instance, it’s their fault that the God Emperor of Mankind was mortally wounded, as a significant portion of his royal guard, the Space Marines (poster children of Warhammer 40k) were corrupted by Chaos and betrayed mankind. This is why the Chaos has a sub-faction known as the Chaos Space Marines, the very same marines from the “Horus Heresy” coup d’etat attempt. Tremble and succumb to the cosmic horrors from beyond your own dimension, for Chaos is Power, Chaos is Strong. Basically… space elves. Once a all-powerful dominant race of the galaxy, and now close to extinction due to a catastrophe known as The Fall. The Eldar, special creation of the Old Ones against the Necrons are psychic by nature, and draw their psychic power from The Immaterium, but blinded by their arrogance, the Eldar accidentally CREATED THE CHAOS GOD, SLAANESH which nearly wiped out their race entirely! Not to mention the vast-reaching implications across the galaxy and to many other major factions in 40k. While their days may be numbered, what remains of the ancient and mighty Eldar will survive on, seeking to redeem themselves, proving a near impenetrable foe to their enemies, for they have SEEN the future, and it is death. Basically… space orks. Composed of haphazard sub-factions of ‘orkoids’, they represent the greenskin fantasy fodder of 40k. Tribal by nature, they are an odd bunch, equal measures stupid and intelligent; cunning and aggressive. They pose a constant threat to the rest of the galaxy, with their sole purpose in life being fighting, and when not fighting each other, they fight anything else they can find, and will travel across the galaxy seeking battle; a consequence of their instincts, crafted by the Old Ones to be this way to defend them in an ancient battle (see Necrons below). Surviving till modern times with their rapid (and unexpectedly hilarious) method of reproduction , this simply makes them the pests of the galaxy without guidance from the Old Ones. The comedy relief of Warhammer 40k they may be, but never underestimate unending numbers of The Green Tide of the WARGGGH! Basically… space socialists. The youngest race by far on the battlefield, the Tau are defined by pure efficiency with a caste-based society, and propelled to venture into the stars by their unified ideology of “The Greater Good”. The Tau dream of uniting the races of the galaxy under their benevolent rule (by force if necessary). Characterised by their complete lack of psychic capabilities yet possessing immense capability for technological utilisation, they became a space-faring race in an incredibly early in their species’ history. The Tau’s sheer determination and single-mindedness for interstellar conquest make them a formidable opponent, together with their indoctrinated allied species, the Kroot and the Vespids. Either join them… or be annihilated, all For The Greater Good! Basically… space beasts. Technically speaking the Tyranids are not of this world, that’s right, they are actually BIO-ENGINEERED BEASTS FROM ANOTHER GALAXY. They came from the very outskirts of the galaxy where 40k takes place in, in gigantic space-borne hive fleets, collectively operating under a single hive mind. Little of known of the Tyranids, as their origins are mostly unexplored at this point in the lore. But one thing is for sure, they seem to only have one mission, to devour everything they come across, and make more of their kind from the compounds they devour. From the dark recesses of distant space, a terror looms over the battlefield, no… rather a banquet table filled with delectable delights for the Tyranids. Basically… space undead. Ancient, even more so than the Eldar, wielding unparalleled technology unlike anything the galaxy has ever known. The Necrontyr, after meeting the Old Ones, a primordial race of creatures capable of creating life across the universe bargained with them, requested that they impart their mastery of life to the Necrontyr, who were cursed with pitifully irradiated bodies and short lifespans due to their solar system’s sun. The Old Ones refused, and the Necrontyr swore vengeance and discovered another primordial race, the Star Gods. The Star Gods, ancient enemies of the Old Ones themselves, struck an alliance with the Necrontyr, but were false prophets. They tricked the Necrontyr into becoming their immortal slave army. 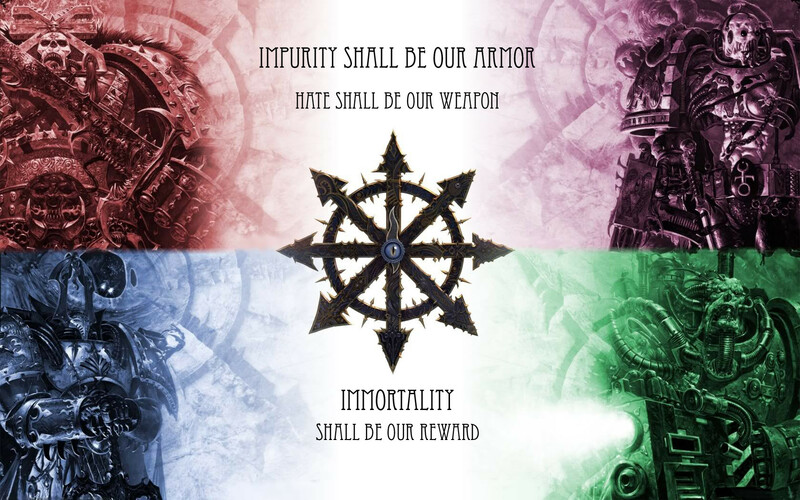 Their souls bound to indestructible living metal, wielding gauss-weaponry that incinerates all living matter, they became the Necrons. Stripped of all free will, these slaves to the Star Gods were waged wars against the Old Ones across the stars. Far into the future, the Old Ones were destroyed, and the original leader of the Necrons rebelled against their masters, defeating the Star Gods, where they then retreated into tombworlds for millions of years, whence they would awaken. 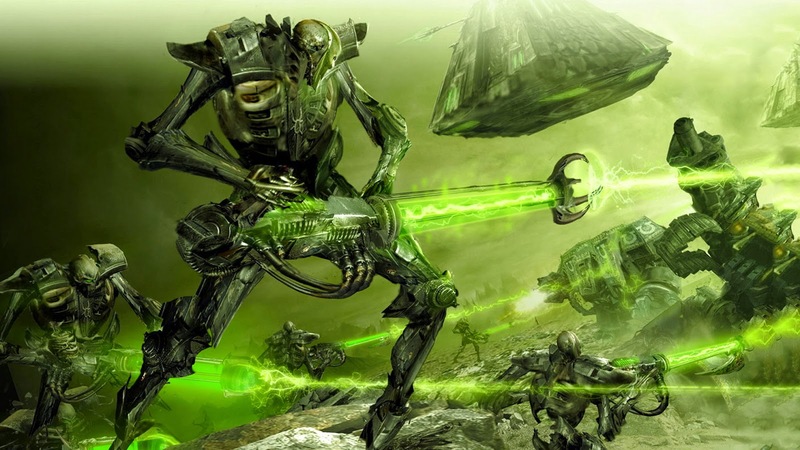 The petty squabbles that life across the galaxy call wars are devoid of meaning to the Necrons, and now the Necrons have finally awakened, others may as well try to fight back, for all the good it will do them, for what chance do they have against the race that killed the very gods themselves.